This year I have been successful in running more races and avoiding injury. I owe that to my diet, a 100% plant-based regimen, which allows me to recover in ridiculous time. Equally as important, is my regular practice of Bikram Yoga. These two things have continued to keep me uninjured and training consistently. I've had a few flairs of IT band problems this year following 100k races and 50 milers. I waited about a week before I went to the yoga studio, but the 90 minutes in the room stretched the IT band and got me back on the trail. My lower back also tightened up after the same races, but yoga helped mitigate the problem. Had I not recognized the issue and responded by doing yoga, I'm sure I would have been sidelined. 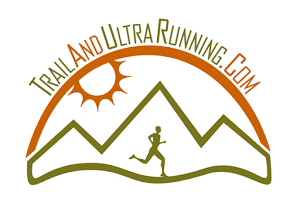 I had a Lactate Threshold test done with Cindy Stonesmith of http://www.ultrarunnertraining.com/ . Cindy identified my true "Zone 2" and provided me a graph that has been fixated in my mind during training and races. This information, aided by a Garmin heart rate monitor, has allowed me to remain in this fat burning zone during race at 50 miles or beyond. During these same events, I tap into my Zone 3 (above 160 bpm) for some of the race. All the while, I'm very aware of my ability to maintain this only temporarily. In all, the LT test has helped me pacing at 50 mile races and beyond. In all of those events, I was satisfied with my finishes in the top 10 overall. I've also been fairly successful at doing a greater number of events back to back.... I think this is due to several things. One factor is that I'm using the heart rate monitor to stay in 'fat burning' heart rate zones. Also, the fact that I have been consistently running ultras for 6 years now. As I write this, I'm 3 days post-race (50 miler) and I feel 100% recovered. Therefore, I'll be running the Boulder 100 this weekend, just 7 days after the 50 mile race. It remains to be seen, whether my evaluation is accurate...but I was recently able to run 100k and then a 50k just three weeks later. The 50k bring up another thing though... I feel like I've lost quite a bit of speed in the 50k distance. I was not able to run with the top athletes at my 50k this past month. I think I've started to become a much better 50 mile/100k/100 mi runner...perhaps losing some of that efficiency or turn-over needed for the marathon or 50k distance. That's ok with me, though...and I still prefer 50 mile and beyond. I really hope to improve upon this year in 2012...I plan to continue the same progress that has put me where I am now. As always, open minded and listening to the veterans. Training consistently.......and maintaining the balance that allows me to be health and happy on the trails. I'd enjoy your perspective on the day this past weekend.